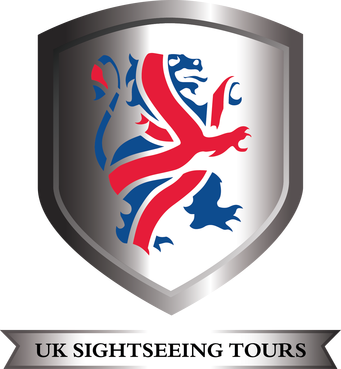 Stonehenge Tours, - Visit Stonehenge Tours Guide, Stonehenge Tours, day trips and Visitor information Visit Stonehenge The complete guide to Stonehenge: A Favourite Car Journey From London To Stonehenge. 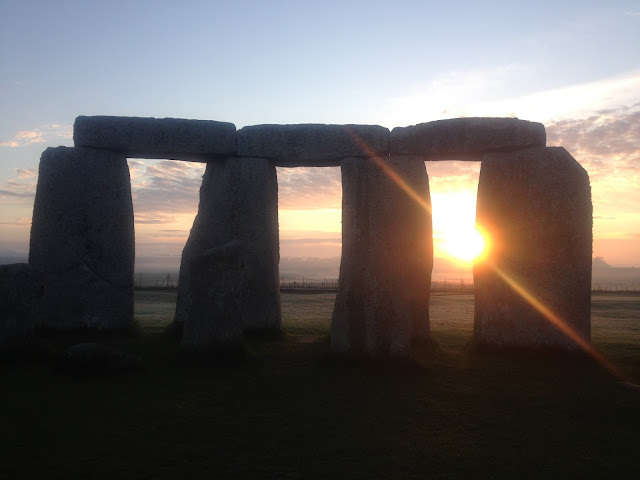 A Favourite Car Journey From London To Stonehenge. Having lived in Wiltshire and worked in London I was frequently asked about how to make a day of driving to Stonehenge. I have driven this route many times and I hope you enjoy It! The first part is not at all picturesque but a means of departing London. Take the Main M4 out of London and follow this to Junction 14 the turning for Hungerford. The moment you do this the English country side is around you. Follow the road A336 to the T junction, turning left on to the main A4. In just a few minutes you can see the signs to Hungerford the first stop on our journey you will find a car park on the high Street. The town's historic market status is retained by the significant number of small independent retail and commercial businesses providing visitors and residents alike with personal service across a wide range of products. Hungerford has an excellent variety of eating places and there is ample local accommodation. Most famously for those fans of Bargain Hunt there are many antique shops including Hungerford Arcade Antiques a regular haunt on the show. Returning back to the A4 or Bath Road turn left in following signs to Froxfield. Froxfield village is on a stream that is a tributary of the River Dun. The road between London and Bristol follows the valley of the stream and passes through the village. The road has followed this course since at least the 13th century and since the 1920s has been classified as the A4 road. The Kennet and Avon Canal follows the Dun valley through Froxfield parish, passing within 550 yards (500 m) of the village. The canal has a series of locks in the parish from Oakhill Dow Lock to Froxfield Bottom Lock. Next to Marlborough, just keep following the signs to Marlborough its a direct route with a straight Road. Please stop as you wish this is only a guideline. Marlborough, in the north east corner of Wiltshire, is the archetypical English market town — a place where coins were minted in Norman times, Tudor kings hunted for deer and where coaches heading west from London stopped to feed and water their horses. The largest man-made mound in Europe, mysterious Silbury Hill compares in height and volume to the roughly contemporary Egyptian pyramids. Probably completed in around 2400 BC, it apparently contains no burial. Though clearly important in itself, its purpose and significance remain unknown. There is no access to the hill itself. From here follow the A4 to Beckhampton rounder about turning right to follow the A4361. A short distance from here is Avebury Circle. In re-erecting many of the stones, Keiller uncovered the true wonder of one of the most important megalithic monuments in Europe. You can see his fascinating finds on display in the museum, still housed in the stables but now also in the 17th-century threshing barn, where interactive displays and activities for children bring the landscape to life. Avebury Manor has just reopened following a major transformation for a new BBC series entitled The Manor Reborn. At this point you may choose to have something to eat at the Red Lion Pub in the middle of the Stones. Or as an alternative would be to return to the A4 for a short Journey to Cherhill where the Black Horse pub can be found on the right hand side. Opposite the Pub are Landmarks of the Landsdown monument and White Horse. I can highly recommend the Black Horse, having eaten there many times. The Cherhill white horse is the second oldest of the Wiltshire horses and is just below the earthwork known as Oldbury Castle, very well placed high on a steep slope, the horse is easily visible from below and from a distance. It may well have been inspired by the Westbury horse, as it was cut in 1780, just two years after that first Wiltshire horse was recut to a new design. The Cherhill white horse is the work of a Dr Christopher Alsop of Calne, sometimes referred to as "the mad doctor". He is said to have directed the marking out of the horse from a distance, calling instructions through a megaphone. Dr Alsop's design for the horse may have been influenced by the work of his artist friend George Stubbs, famous for his paintings of horses and other animals. At the Junction of A360 And B3086 follow the A344. Stonehenge will be found about 1.5 miles on your Right. 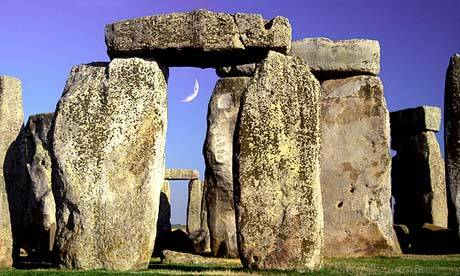 Stonehenge For an unforgettable day out, visit the World Heritage Site of Stonehenge. 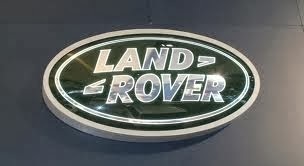 Located near Salisbury in the beautiful Wiltshire countryside, it is a highlight of the South West.